Wildflowers bloom from late February thru September. However, the peak wildflower season is mid-to-late April when the spring ephemerals make their appearance. 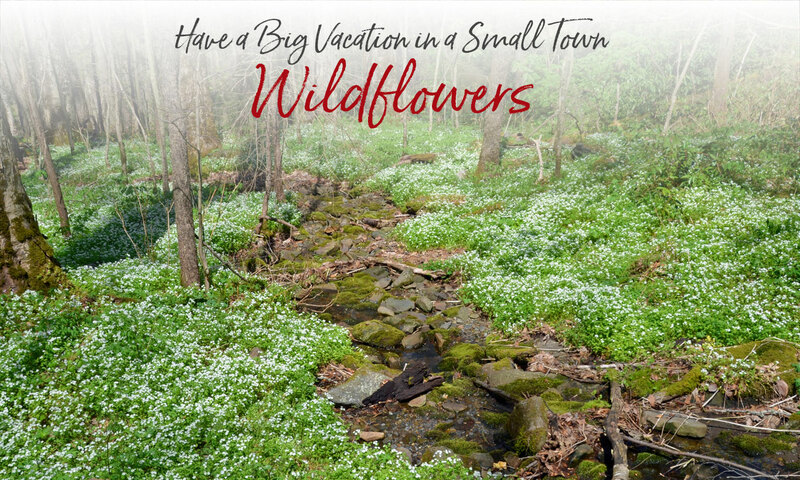 Two good walking trails for viewing wildflowers are the Deep Creek trails and the River Trail at the Oconaluftee Visitor Center in Cherokee. If you would like a guided wildflower walk with plant identification, contact Bigelow’s Botanical Excursions.